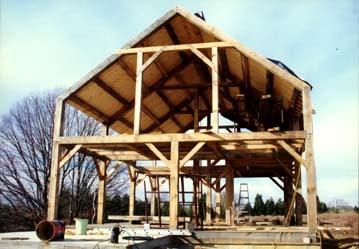 In 1989, I began work on this timberframe house in Dillsboro, IN. 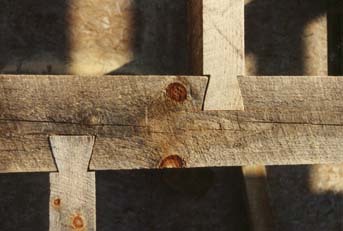 The frame is pine, cut and milled locally; and the joints were all cut by hand in the spring and summer of 1989. 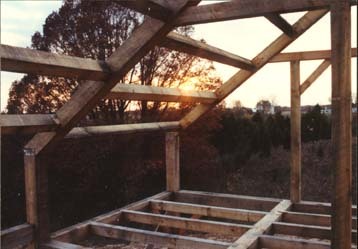 The raising began on Labor Day and we moved in the next June.